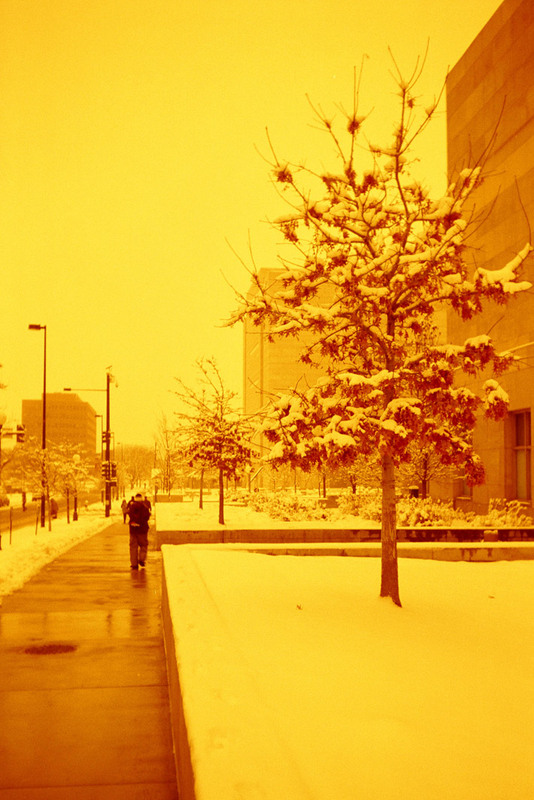 The third week of Redscale Month in February, 2015 was themed water or snow. 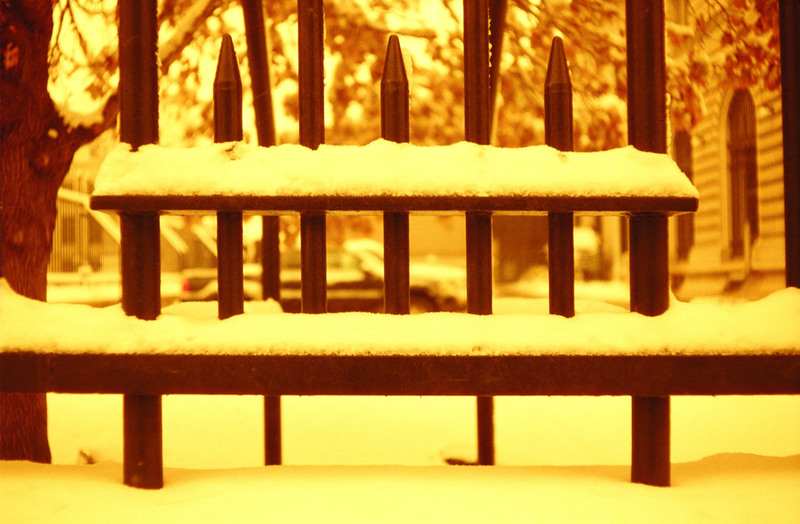 I had plenty of opportunity to shoot the latter as Denver had its snowiest February on record. 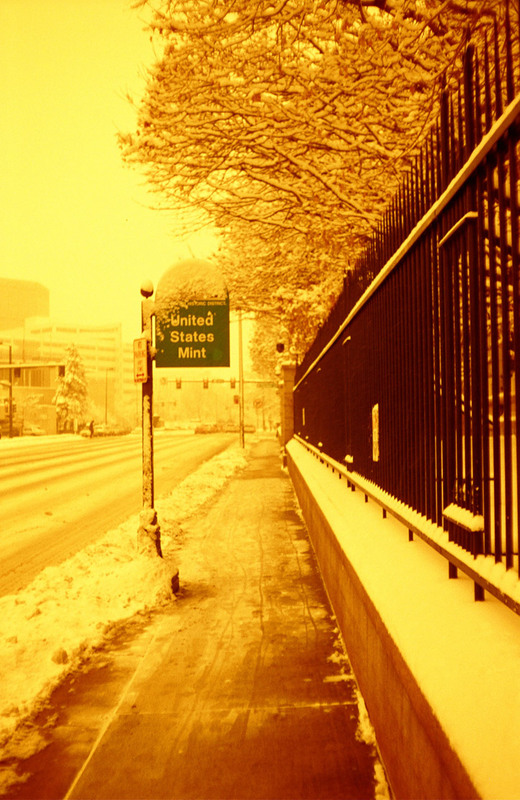 Given the cold and the wet, sloppy snow, I didn’t get out as much as I was able to during the mild weather we had in January, but I plodded around downtown enough to make another roll of redscale frames. My goal — aside from participating in a group event with others, which was a learning experience in itself — was really just to learn some of the nuances of this particular alternative process and figure out how to use it. I was very excited about themed months at the beginning of the year when we were discussing them on Twitter. I hadn’t considered, though, that with film, the timetable isn’t as instant as it is with digital photography. Not only do I have to get my film processed, which takes some time for me because of my work schedule, but I also have to get it scanned and posted. Certainly with an entire month to do it, this is possible — it’s just not always that easy. March was xpro (cross-processing) month for BelieveInFilmers. I did shoot a roll of Ilford XP2 Super with the intention of having it cross-processed, but the month has ended and I haven’t managed to get it developed yet. I’ll post results as soon as I have them, of course. I feel like I’ve learned another thing, though, about theme months and group events. I have a hard time finding inspiration within the confines of a theme. Redscale was fairly easy: just shoot stuff and see how different it is. But cross-processing is something totally new to me, and honestly, not something I’ve been terribly interested in. Is it wrong that I’m feeling a bit burned out on alternative processes and the proliferation of lo-fi in the film community? I suppose there’s a certain amount of pushback against the perfect sharpness and sterility of digital photography, and I get that. But going back to film doesn’t need to mean going back to lo-fi. Heavy vignetting, blurred edges and color shifts are fine when they are the result of the tools you’re using or when they have a specific artistic purpose, but I worry about putting too much effort into seeking them out. I get a lot of lo-fi results from the old cameras I test and the often-expired film I test them with. I got scratched, blurry negatives from the Imperial Herco 620 Snap-Shot, but I wasn’t trying for them. I got all kinds of weirdness from the Film Photography Podcast’s Plastic Filmtastic 120 Debonair camera, but I expected that. So I’m not opposed to strange results. Not at all. 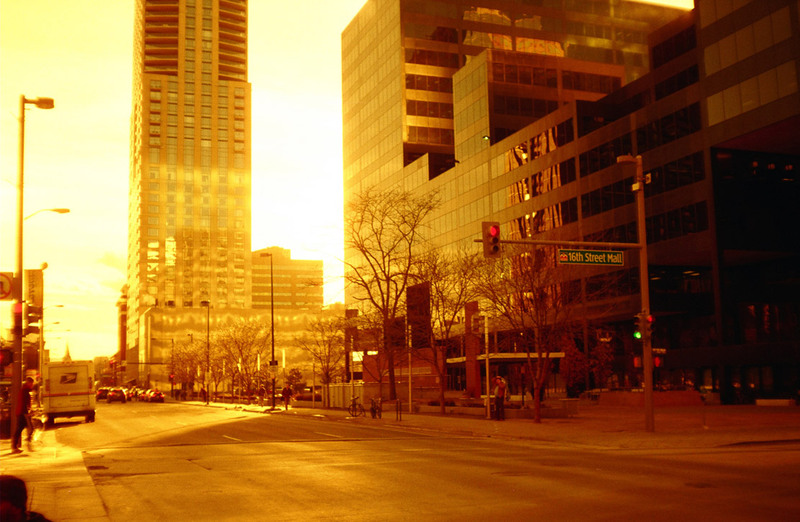 I have found some very pleasing, especially these redscale experiments. But a lot of the time, I’m really looking to make a good picture. I’m in love with the creamy grain of Plus-X (now discontinued by Kodak, doggone it), and the strong-but-not-ridiculous colors of Ektar (don’t even think about it, Kodak). Well, anyway. 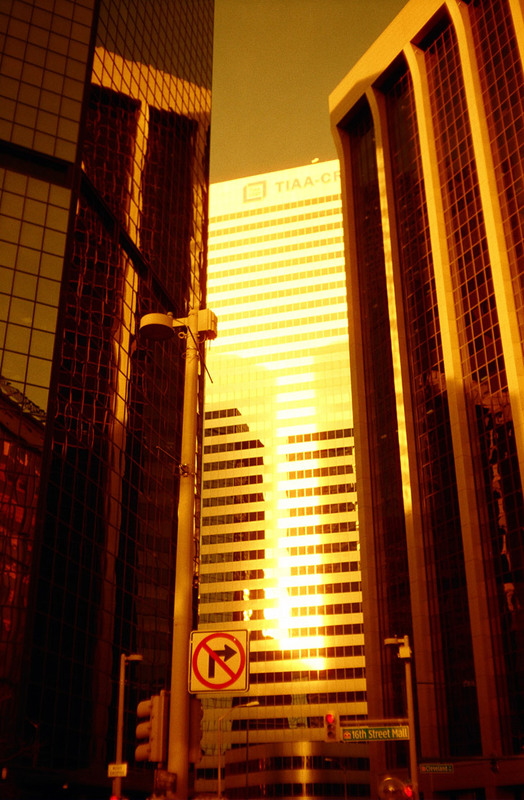 Back to redscale. This last roll of backwards film yielded some of the best contrast I’ve seen so far in the experiment. I learned in my earlier experiments that rating the film about two stops slower than box speed was plenty, and the 3-4 stops I saw recommended in some places was almost too much (not that I don’t love the alien landscapes I saw in Part 1 of this experiment). I shot most of it a bit faster than the earlier stuff — rating the rerolled Kodak Gold 400 at ASA 100 or ASA 200 — and I think this seems to be something of a sweet spot. 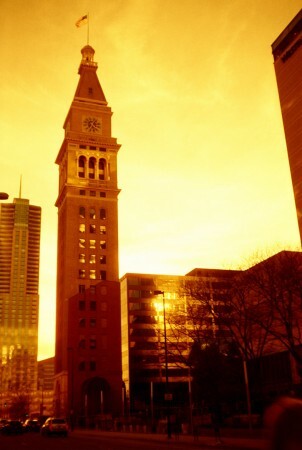 Take a look at the photo of Broadway and Cleveland in downtown Denver and see how much contrast that image has, and yet how nice the light looks. Once again, these frames were all shot with the Konica EE-Matic Deluxe. I have two more rolls of Kodak Gold 400 spooled in reverse for further testing, but they’re just sitting on my desk at the moment. Perhaps I’ll toss them in my bag and try them in another camera — maybe get serious and pump them through a Nikon FM2n or the F3. 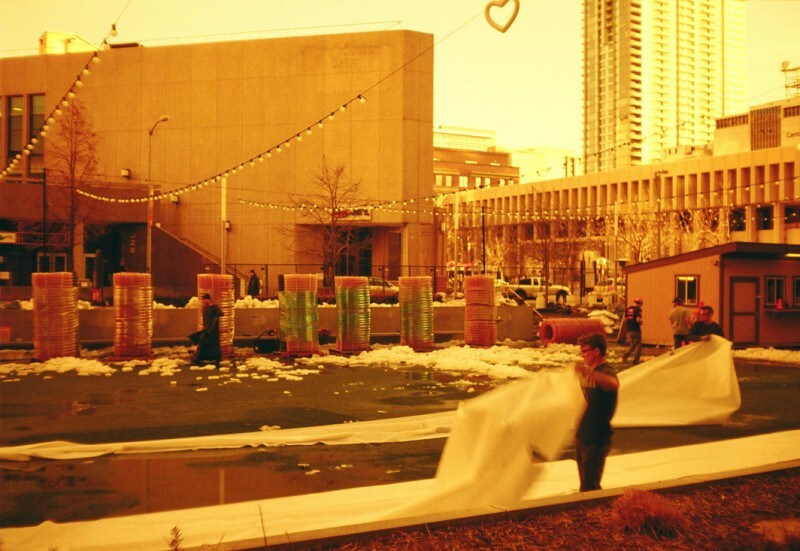 But I don’t think that I will be putting as much effort into color film-based alternative processes. I do think that I will probably try out some caffenol for processing black and white soon, though.